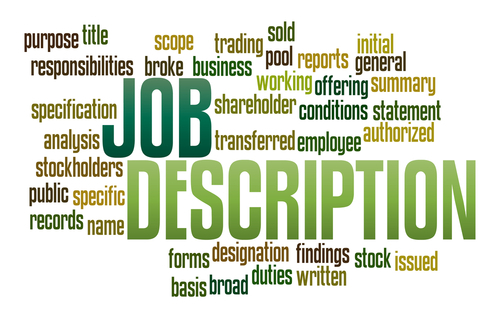 In a part one of this article we featured the California Employment Law Letter’s take on the importance of a good job description. Today, we look at the key components every job description must contain. The California Employment Law Letter (CELL) is written by Mark I. Schickman, and Cathleen S. Yonahara, both attorneys at the law firm of Freeland Cooper & Foreman LLP. In San Francisco. A job description need not account for every task that might ever be done, says the CELL. Here are the most critical components of a good job description. Heading information. This should include job title, pay grade or range, reporting relationship (by position, not individual), hours or shifts, and the likelihood of overtime or weekend work. Summary objective of the job. List the general responsibilities and descriptions of key tasks and their purpose, relationships with customers, coworkers, and others, and the results expected of incumbent employees. Qualifications. State the education, experience, training, and technical skills necessary for entry into this job. Special demands. This should include any extraordinary conditions applicable to the job (for example, heavy lifting, exposure to temperature extremes, prolonged standing, or travel). Job duties and responsibilities. Only two features of job responsibility are important: identifying tasks that comprise about 90 to 95 percent of the work done and listing tasks in order of the time consumed (or, sometimes, in order of importance).